SEATTLE, WASHINGTON, UNITED STATES, February 6, 2018 /EINPresswire.com/ -- Global microcrystalline cellulose market1 was valued at US$ 748.6 million in 2016, according to Global Microcrystalline Cellulose Market, by Source Type (Wood Based and Non-wood Based), by End-use Industry (Pharmaceutical, Food & Beverages, Cosmetics & Personal Care and Others) published by Coherent Market Insights. The microcrystalline cellulose market is expected to register a CAGR of 6.50% over the forecast period (2017–2025), reaching US$ 1,311.6 million by 2025. The major factor propelling growth of this market is growing application of microcrystalline cellulose in the pharmaceutical industry. This is attributed to high compressibility of MCC, which provides hard texture to a tablet that dissolves quickly. In addition to this, it is widely used as fillers and binders in drug formulations, owing to its strong binding properties. Further, microcrystalline cellulose is used as an anti-caking agent, stabilizer, and texture modifier in many processed food products such as frozen desserts, dairy, and bakery products. This wide application of microcrystalline cellulose is anticipated to confer a boost to the global microcrystalline cellulose market during the forecast period. Based on the source type, the global microcrystalline cellulose market is segmented into wood based and non-wood based. Non-wood based segment includes bacteria, fungi, marine animals, and algae. Non-wood based MCC segment is anticipated to record a substantial growth over the forecast period. This is owing increasing use of this type of MCC over wood-based as it is cost-effective. Among end-use industries, pharmaceutical segment accounted for the largest share in the global market of MCC, in 2016. This is due to extensive usage of MCC in a wide range of oral dosage such as tablets, capsules, and pellets. In addition to this, steadily growing demand for MCC, in food processing industry is expected to boost growth of the market over the forecast period. Europe is expected to record a substantial growth in the microcrystalline cellulose market over the forecast period. Owing to the busy lifestyles of the consumers there is a growing demand for packaged food products in the region, which in turn is fuelling demand for MCC in the food and beverages industry. Microcrystalline cellulose are used as a texturizing, consistent bulking, and anti-caking agents, in order to maintain the freshness of packaged food and to increase the shelf life of these products. Further, high demand for cosmetic products in the region coupled with steadily growing pharmaceutical industry in France and Germany, are the major factors, supporting growth of microcrystalline cellulose market. According to the European Federation of Pharmaceutical Industries and Associations (EFPIA), in the global pharmaceutical market, Europe accounted for around 21.5% market share, in 2016. Asia Pacific is projected to be the fastest growing market, with a CAGR of 7.33% over the forecast period. This is owing to steadily growing food processing and the pharmaceutical industries in the region. Rapid urbanization in countries including South Africa, Mexico, South Korea, India, Thailand, and China is expected to fuel demand for packaged food and this in turn, is anticipated to propel the market growth of microcrystalline cellulose in the region. In addition to this, rapidly growing pharmaceutical industry in countries such as India and China is also boosting the market growth. According to the data provided by World Health Organization (WHO), in 2017, the China Government is encouraging R&D in the pharmaceutical sector. In addition to government support, there is substantial foreign direct investment, which supports the development of the local pharmaceutical sector, through the transfer of technology and investments in R&D. Browse 80 market data tables* and 50 figures* on "Microcrystalline Cellulose Market” - Global forecast to 2025. 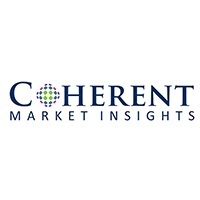 Major players operating in the global microcrystalline cellulose market include FMC Corporation, Asahi Kasei Corporation, Juku Orchem Private Limited, Mingtai Chemical Co. Ltd., Blanver, J Rettenmaier & Shone GmbH + Co Kg, Singachi Industries Pvt. Ltd., Accent Microcell Pvt. Ltd., and DFE Pharma.